What is there to say about air photography in archaeology? It seems simple get an aircraft, get a camera, fly around, take photographs of funny squiggles, lines, lumps and bumps on the ground below you, land , send the film off to be developed, and on its return try and remember where the photos were taken, and what it was you thought you had photographed. Or at least that is what it used to be like. Air photography can be broken down into two elements, high level vertical air photography where an aircraft flies straight and level across a landscape photographing at right angles to the ground, and oblique air photography, where a smaller aircraft at low level usually circles a feature wing down, whilst the cameraman takes images, the angle of the aircraft to the ground is therefore not constant, creating a distorted perspective. Vertical aerial photographs can generally be superimposed straight onto a map for reference, oblique aerial photographs need to be rectified to be useful, requiring the location of several points of reference on the image to lock it into a map. Both techniques are used extensively in archaeology, but whilst oblique photos taken exclusively for archaeology are usually taken when the conditions are at the optimum to highlight the archaeology. Vertical aerial photographs are nearly always taken for commercial purposes and only by sheer luck might they be taken at the most opportune time to capture archaeology. Air photography to be useful for archaeology usually has to be taken on growing crops in their ripening phase in early summer, on earthworks and standing monuments, when the sun is lower in the sky creating shadows, or in the winter when a light covering of windblown snow can accentuate standing features, or in the late phase of a deep snow melt, when the north face of an earthwork delays the sun completing the melt. Air photography for archival purposes was carried out pre 1939, and there is some very good footage of the immediate post 1918 landscape of the western front in all its gory detail. However air photography as a mapping and analytical tool especially for archaelogical research really came into its own immediately after WW2. 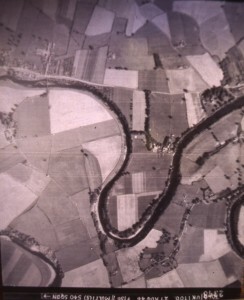 With a surfeit of aircraft and pilots with little to do, the RAF carried out several aerial photograph mapping series of the UK after WW2 with the most commonly available series being those taken in 1946 and 1948 , a local collection of these series can often be found in archives and the major reference libraries across the UK, although they are often not indexed. Aircraft would fly horizontally at a given height backwards and forwards across the country taking thousands of photographs that slightly overlapped each other. The idea of the overlapping was that with the use of a a simple stereoscope two adjacent images could be adjusted to give a binocular 3D image of the landscape. 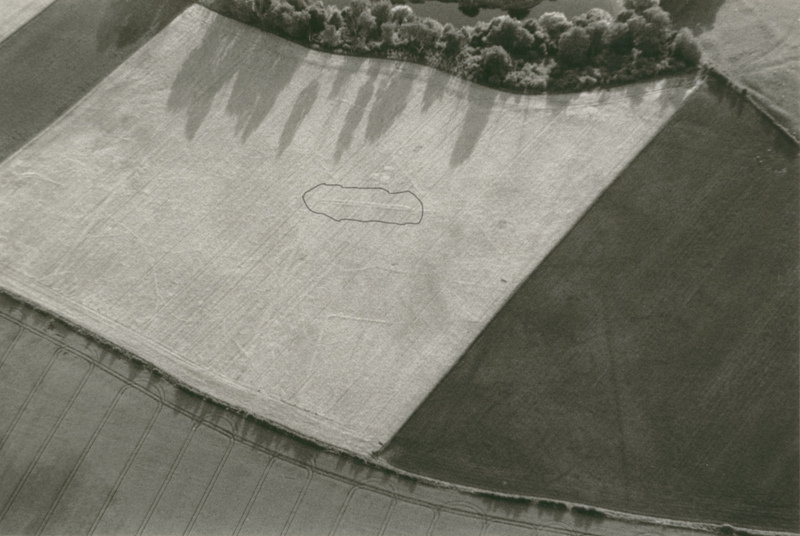 Low level oblique air photography for archaeology was initially carried out by enthusiastic amateurs with pilots licences or access to small aircraft. Later on archaeologists were funded by bodies such as English Heritage to take images at different times throughout the year, revealing different features under different conditions, AP’s from these sources form the bulk of the national AP archive, The one caveat about all these photos, is that some sites on some geologies do not present well for AP’s, and so the record is seriously incomplete and prone to giving undue prominence to a particular type of site in the absence of other contempary sites, potentially distorting the overall picture. it is also necessary to raise question marks regarding the interpretation of some of these sites. Archaeology to avoid putting ‘we don’t know what it is’ against the AP and highlighting it with a big red flag for others to easily find and consider has developed a series of generic catch all terms to fit any eventuality such as prehistoric/medieval field system, sub-rectangular enclosure to name but two, ensuring that any non standard site will be subsumed into the clutter of thousands of AP’s, probably never to be found again. This was the principle reason the Mid Tees Research Project came into existence. Oblique AP of marching camp field with double ditched feature. Finally we have a free, map quality resource, flexible, eminently adaptable and easily accessible to every house with a computer or tablet, namely Google Earth. 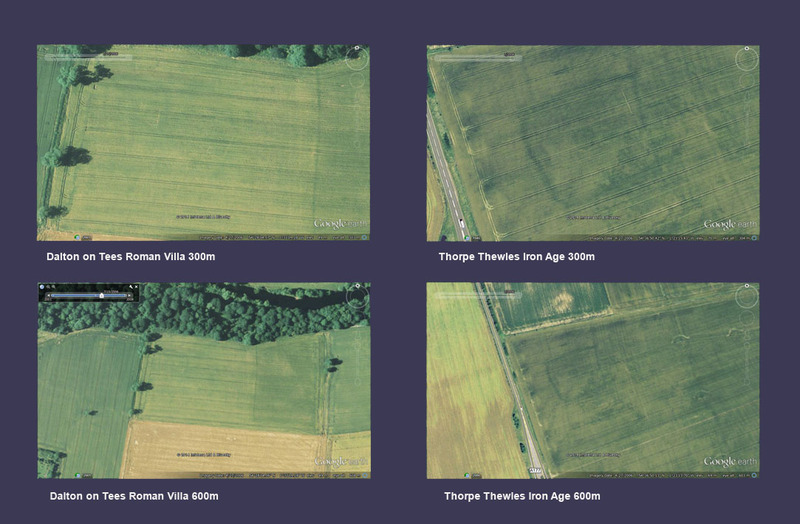 Not only have we Google Earth but we have their 2006 series which was taken at the optimum time for crop marks, with archaeology popping out everywhere. So how do we look for crop marks with Google Earth. In a straw poll I carried out I found that for general viewing most people zoom into Google Earth to a height of about 2- 3km. 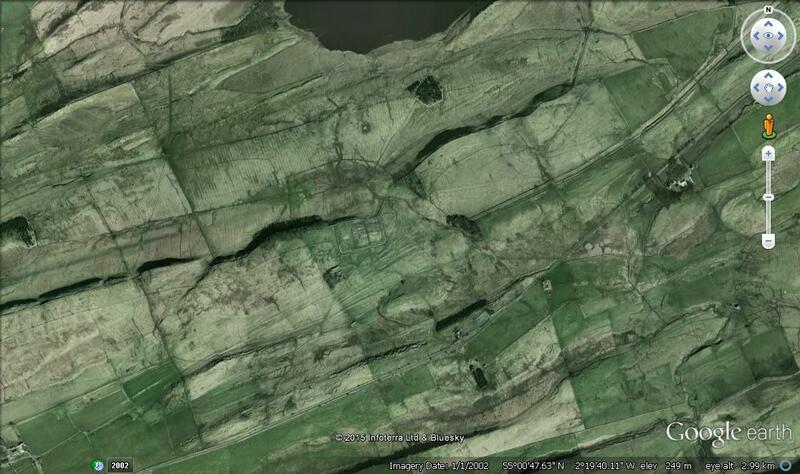 (Google Earth shows the height from the ground of the zoomed image in the bottom right hand corner of the screen). This height maintains the points of reference of towns and villages to give the viewer situational awareness., however at this height the chances of seeing archaeology are minimal. The following AP is a screen shot of Housesteads and Hadrians Wall from 3km, despite all the standing archaeology in the shot, it is not exactly jumping out at you. To find archaeology you have to get down and dirty with the landscape and zoom into about 600m or less which is effectively the height a light aircraft would be taking oblique images, this means you are effectivaly looking at one field at a time. 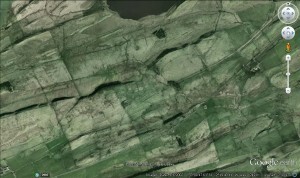 The following images example the problem, both are sites in the Tees Valley taken from the 2006 Google Earth series and both on boulder clay. The ditches of the Thorpe Thewles Iron Age enclosure and round house, are clearly visible from both 300m and 600m. The Roman villa at Dalton on Tees with buildings with 1 metre wide walls are barely visible at 300m, and not visible at all at 600m. AP’s of course are only part of the picture( excuse the pun), and should be the starting point for other field survey techniques.